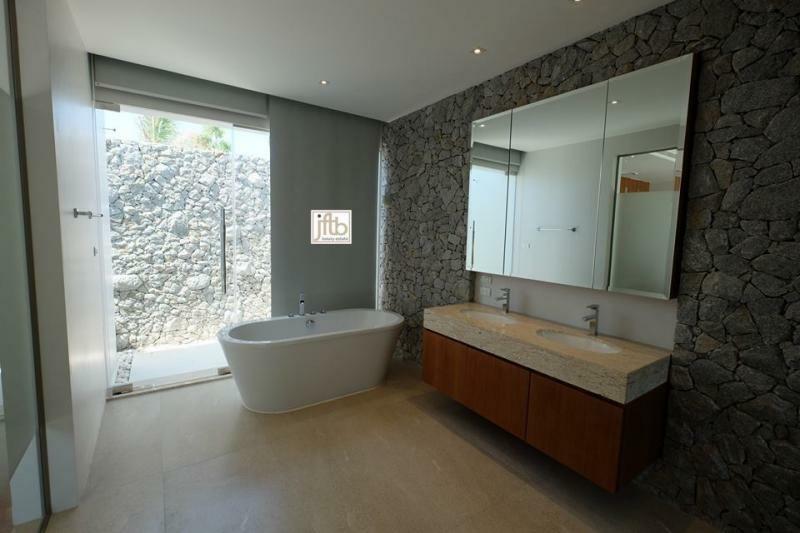 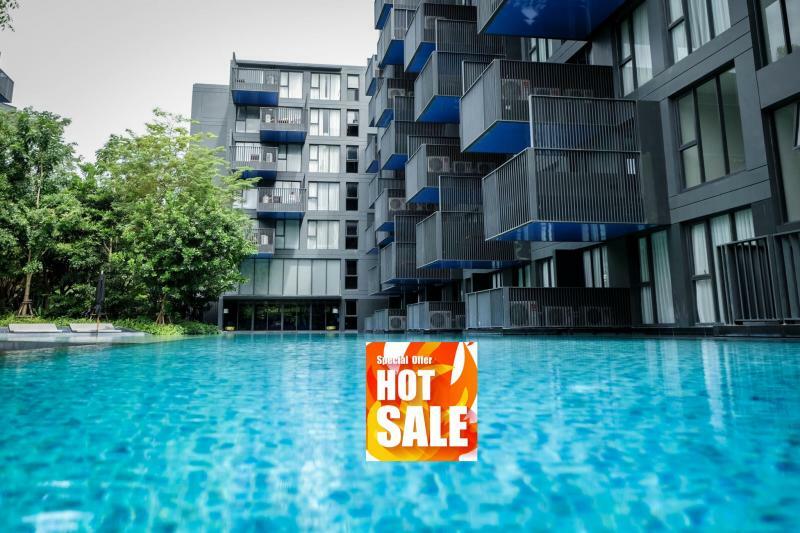 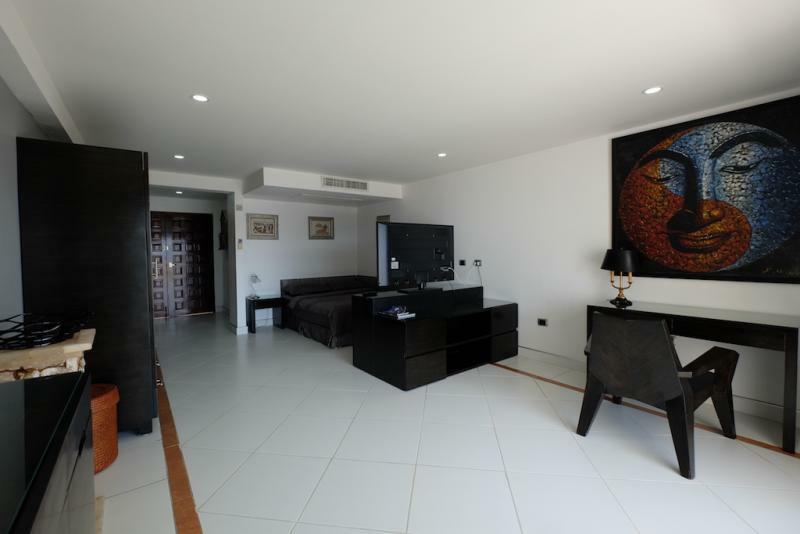 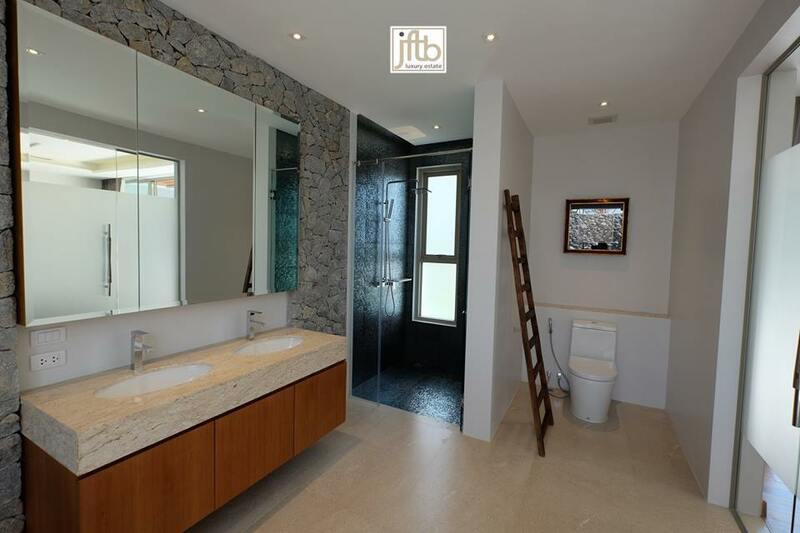 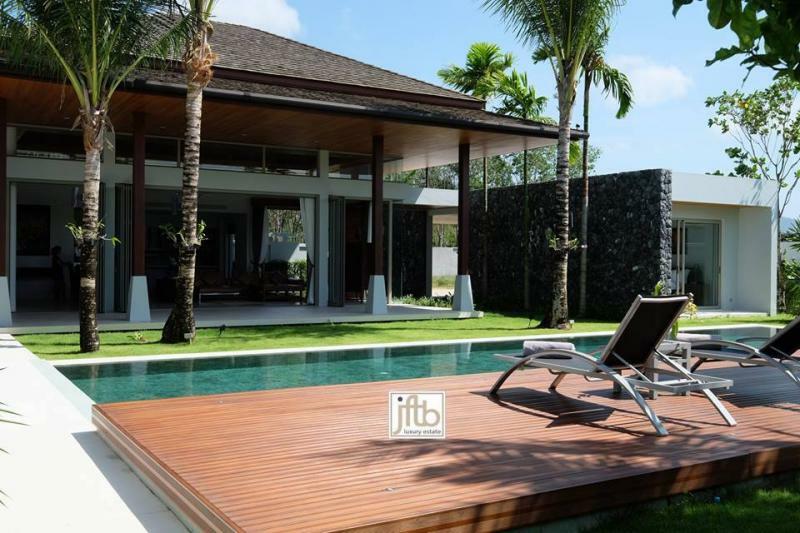 Luxury and Modern pool villa for sale in Layan with prime quality building. 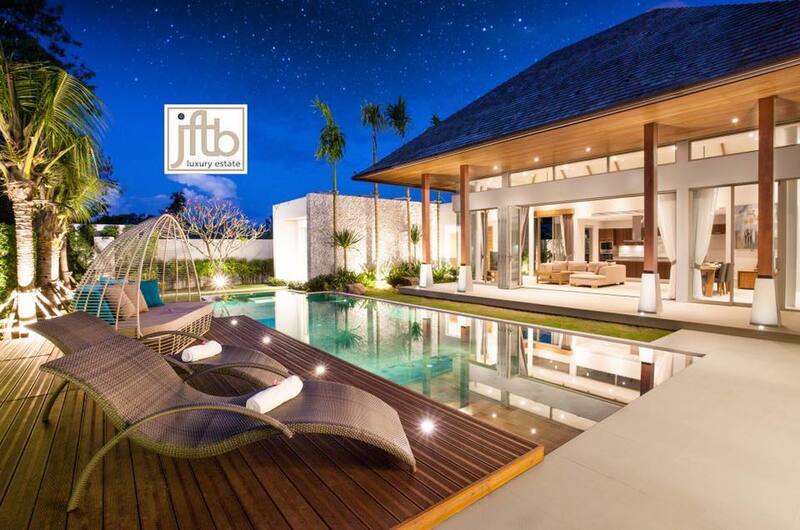 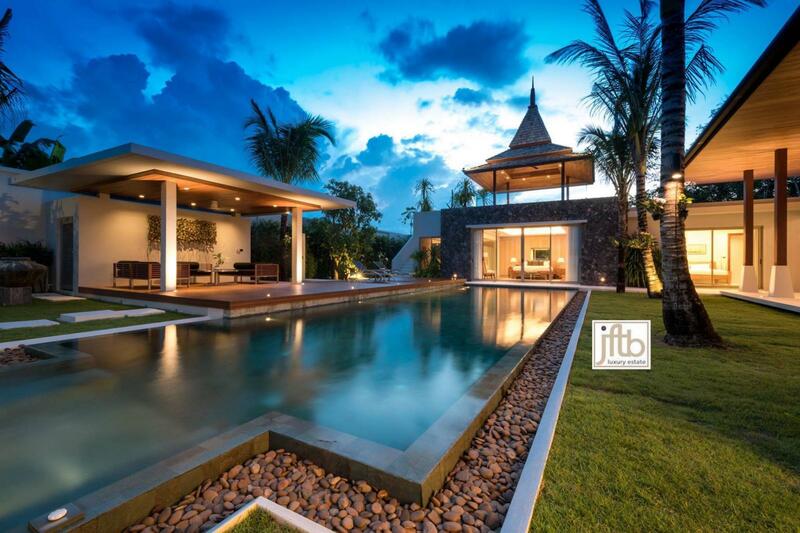 A stunning and luxury 4 bedroom Balinese style pool home combining modern design features with traditional Thai architectural. 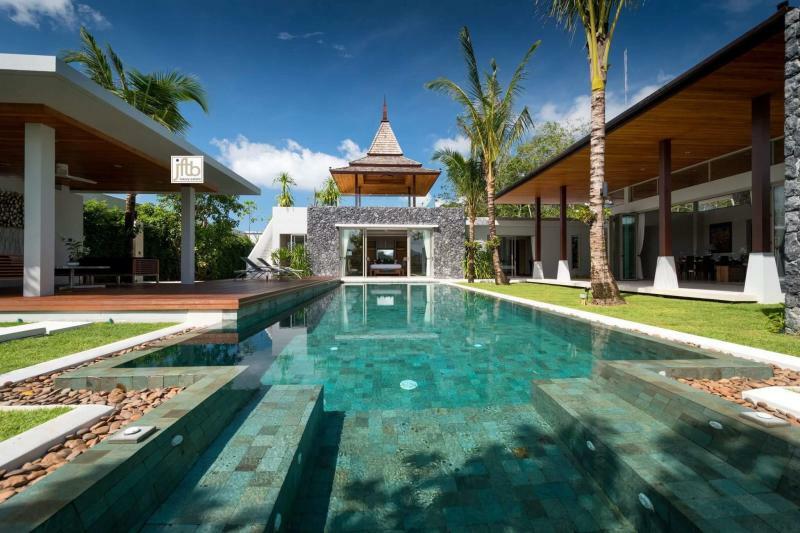 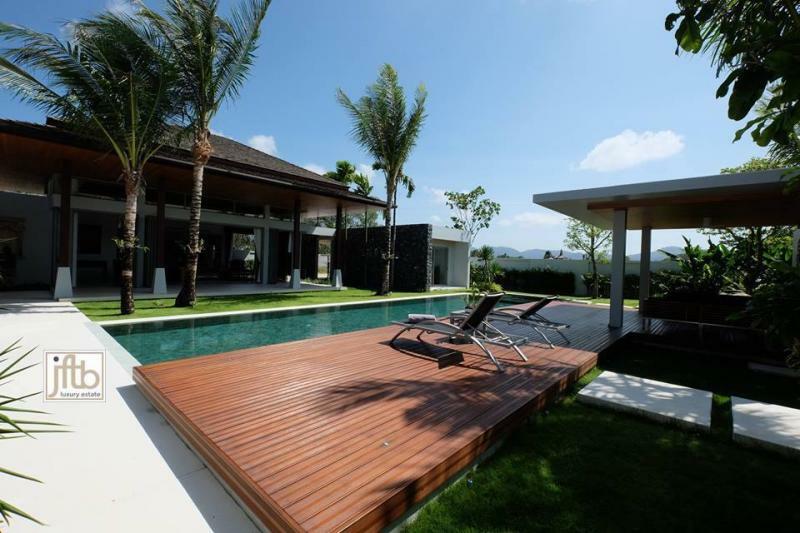 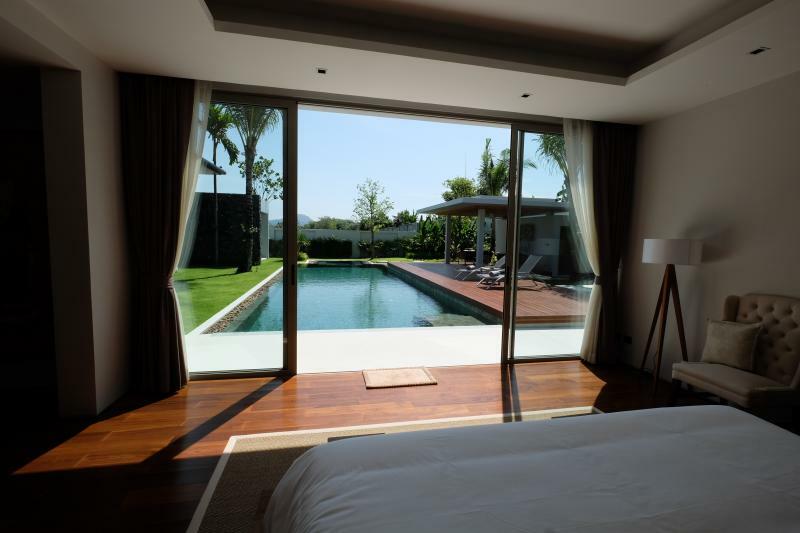 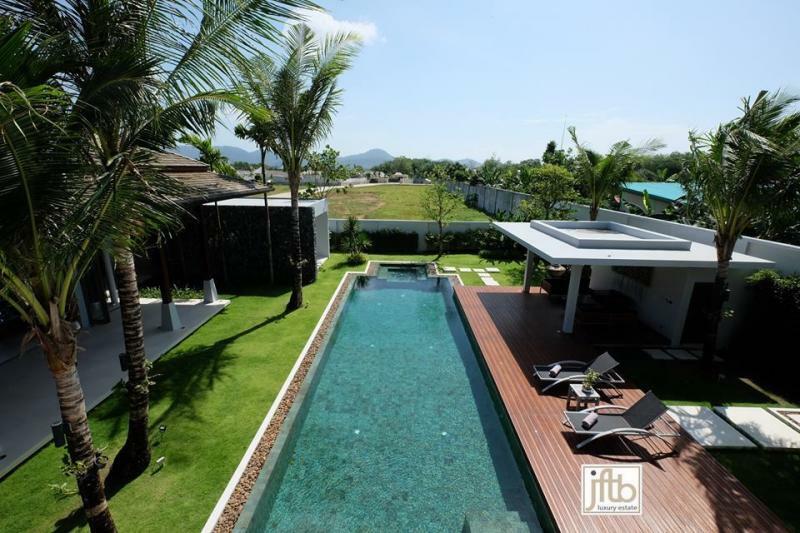 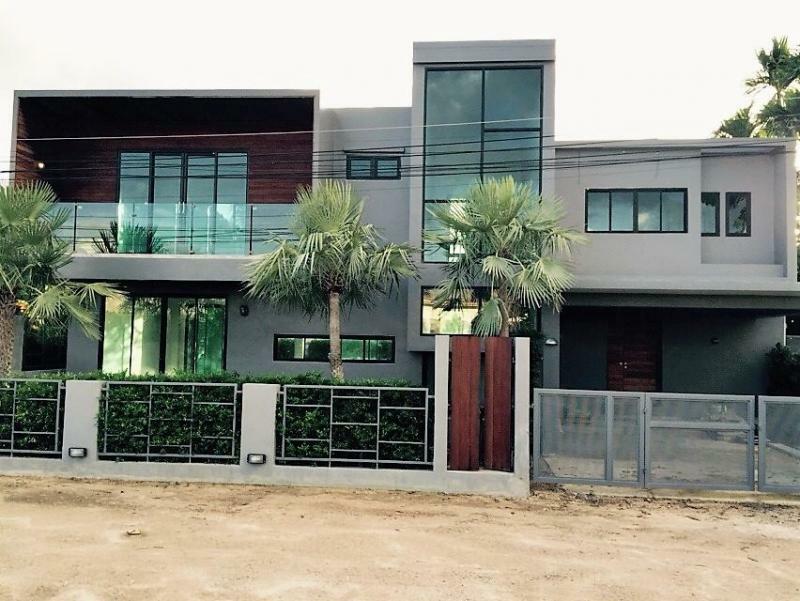 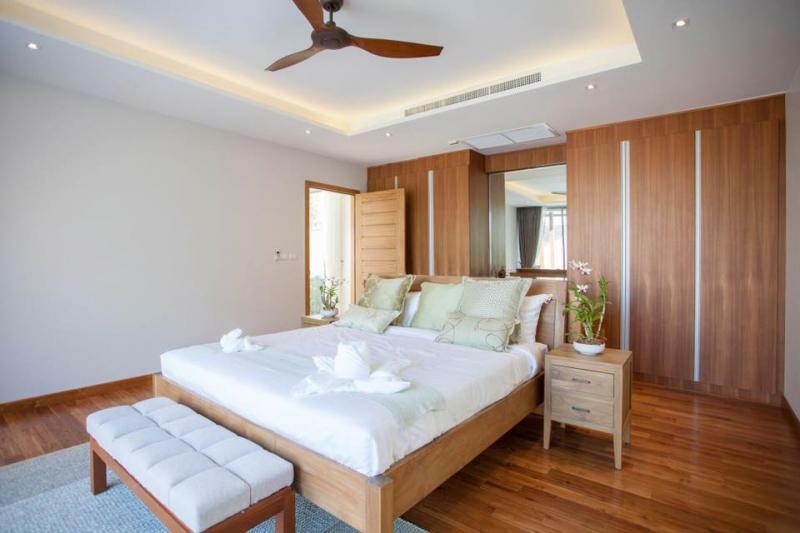 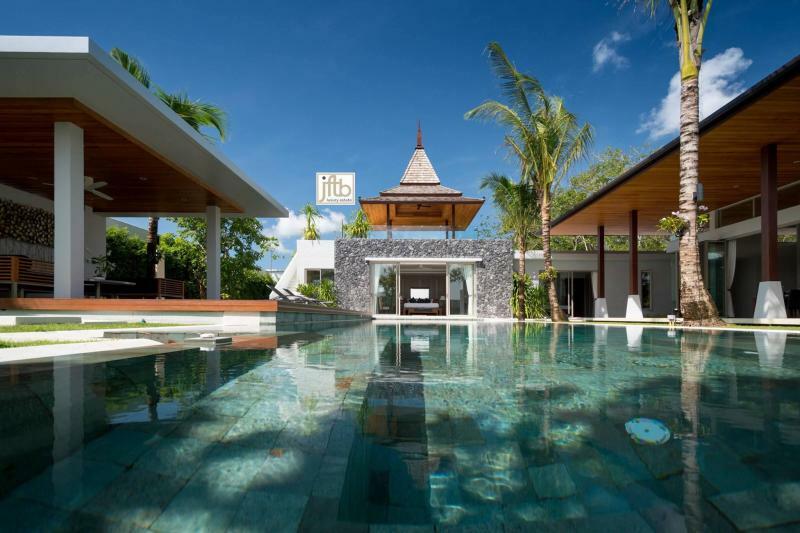 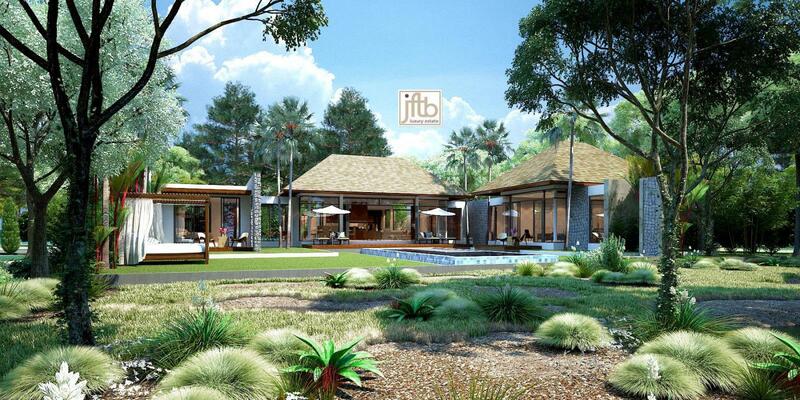 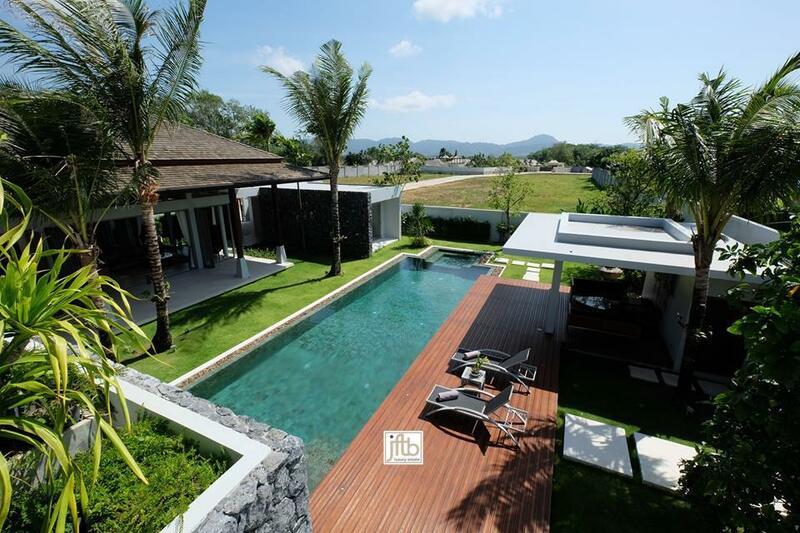 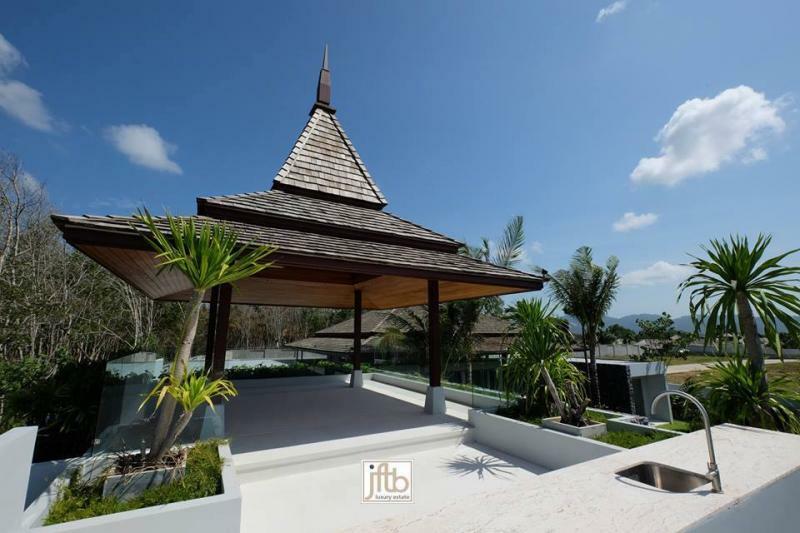 You will fall in love as you will get inside this Phuket Property. 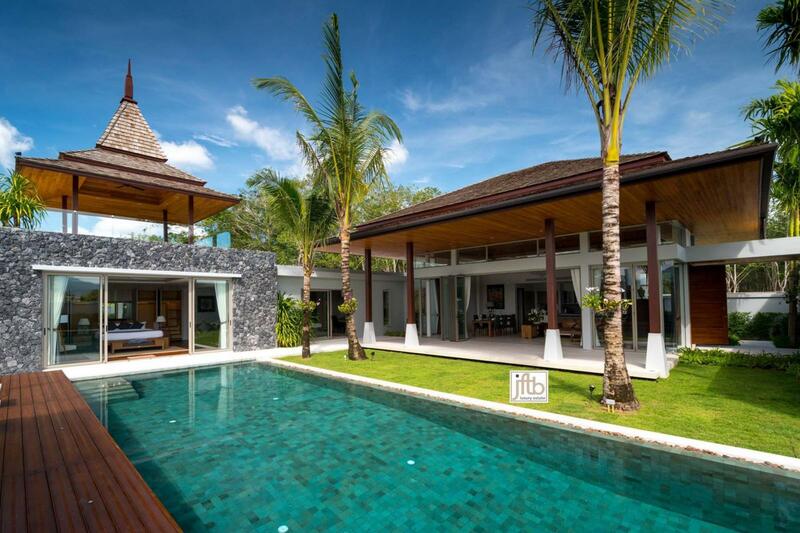 Through its massive antique Asian doors into the compound, this villa will charm you, with its tropical private garden and covered terrace, with its comfortable, elegant and prime quality furnitures throughout the interior and the exterior. 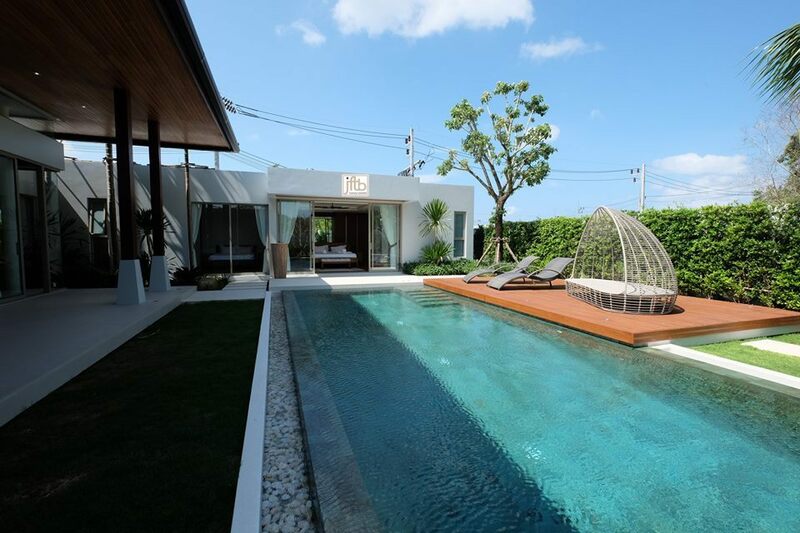 The main living space and all three of the bedrooms open directly onto the large pool and terrace area, giving an open, airy and zen feelings to this home. 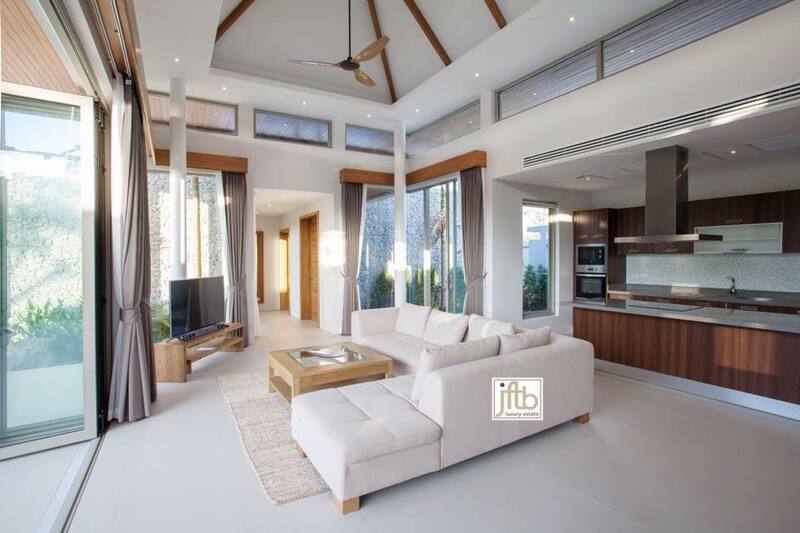 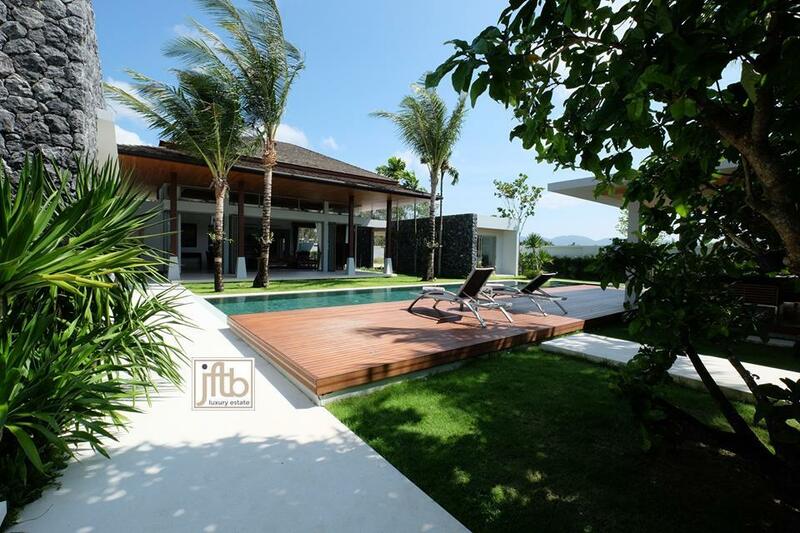 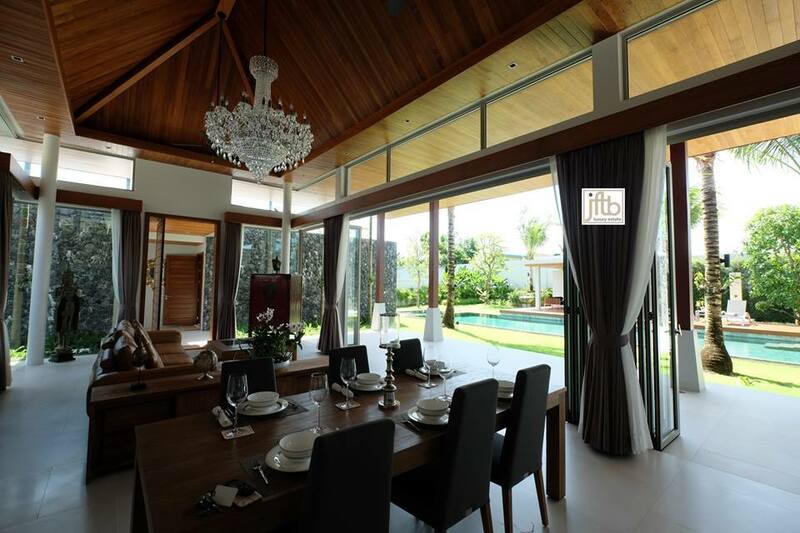 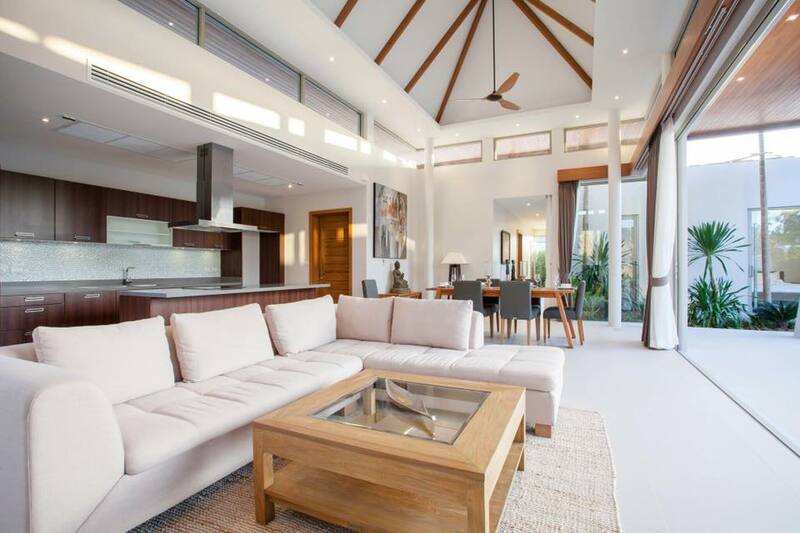 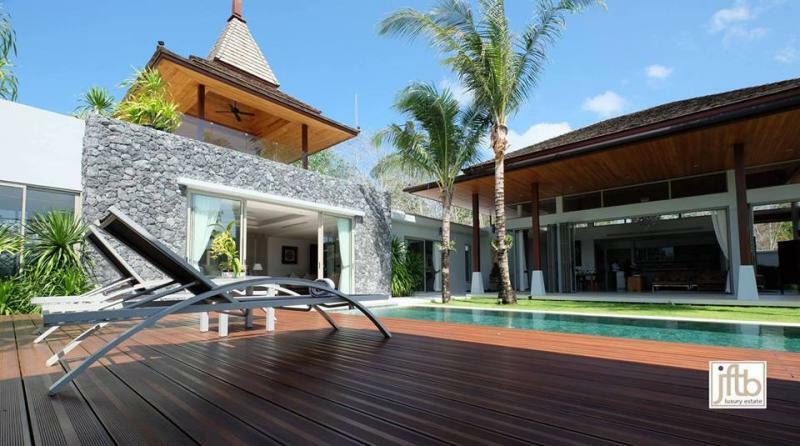 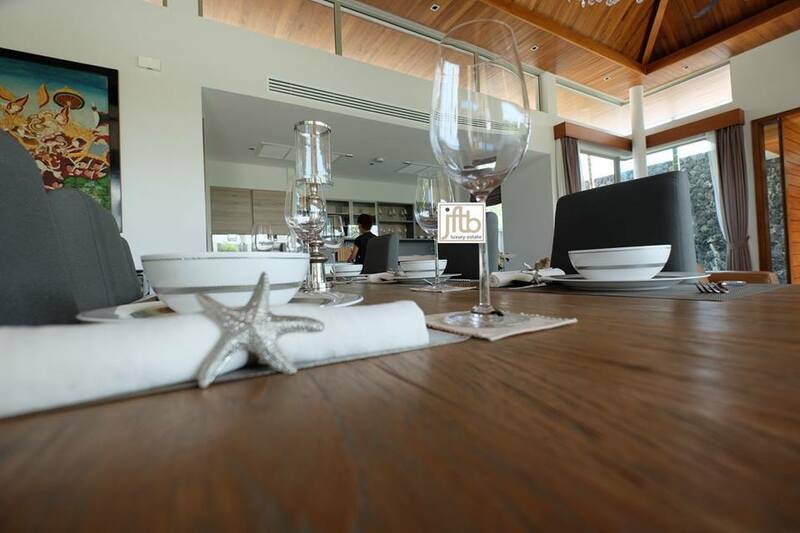 This villa provides a natural charm with its a modern design and is perfect for a relaxing and luxury Phuket style's life. 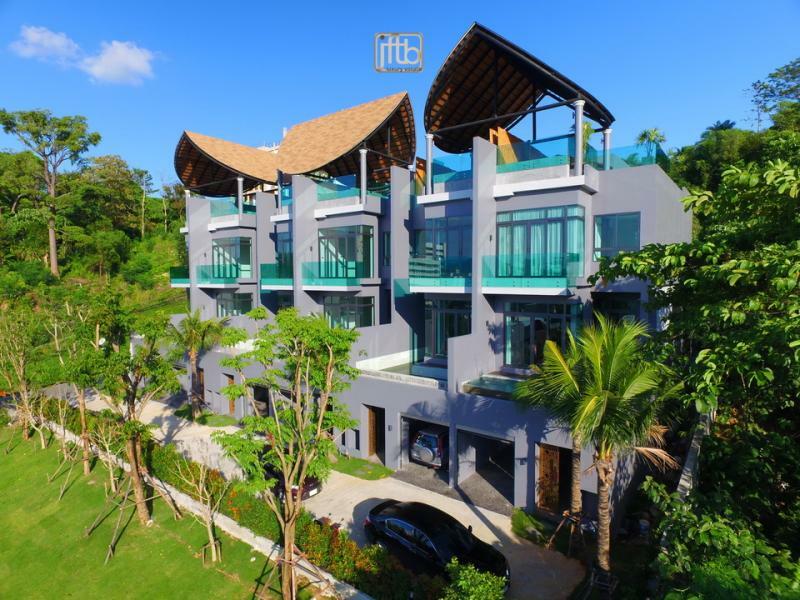 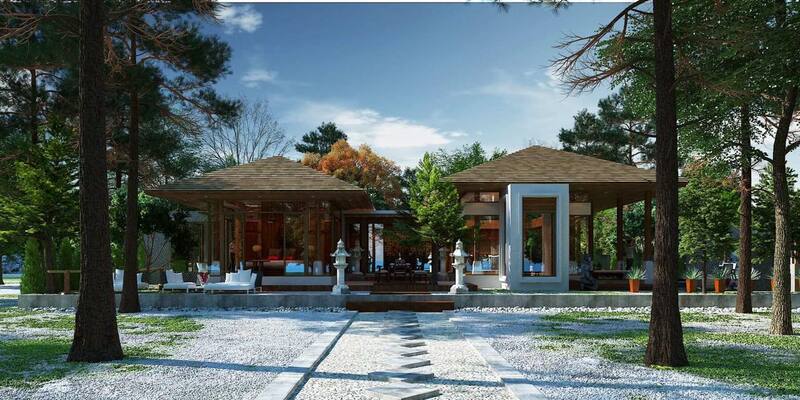 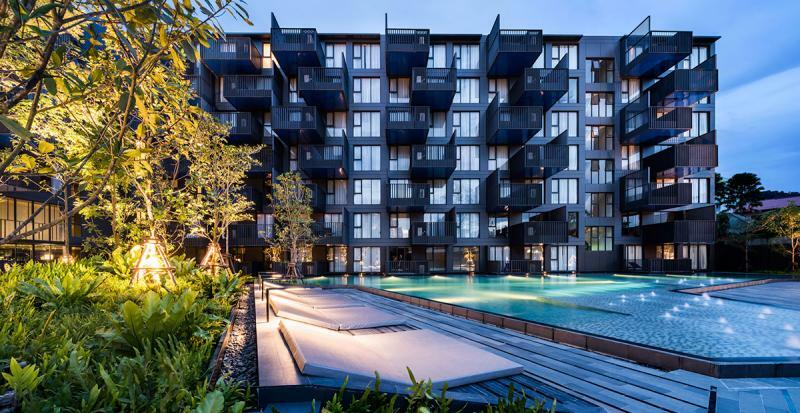 Located in Layan, on the North-West coast of the pearl of the Andaman, nearby famous Surin and Layan beaches. Nestled in a quiet, secluded gated community bordered by a rubber-tree plantation, surrounded by several luxury villa estates. 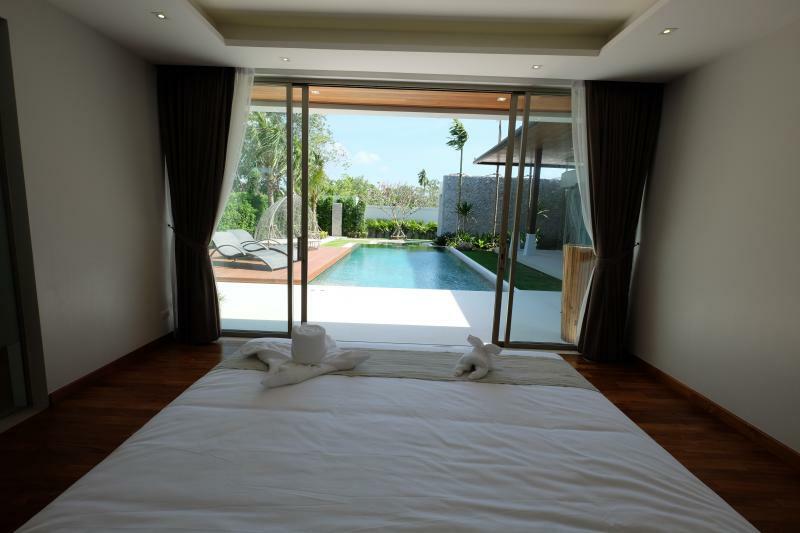 A short time will drive you to shopping and restaurants areas of Surin, Bangtao, Laguna and Layan. 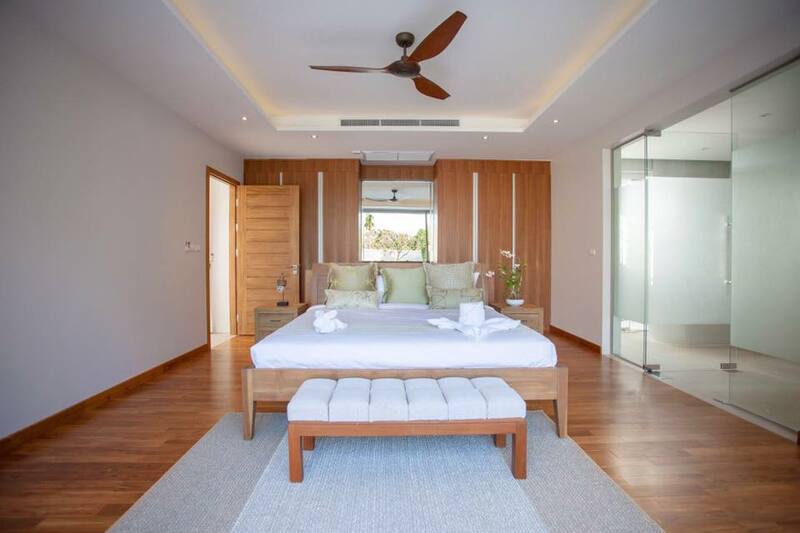 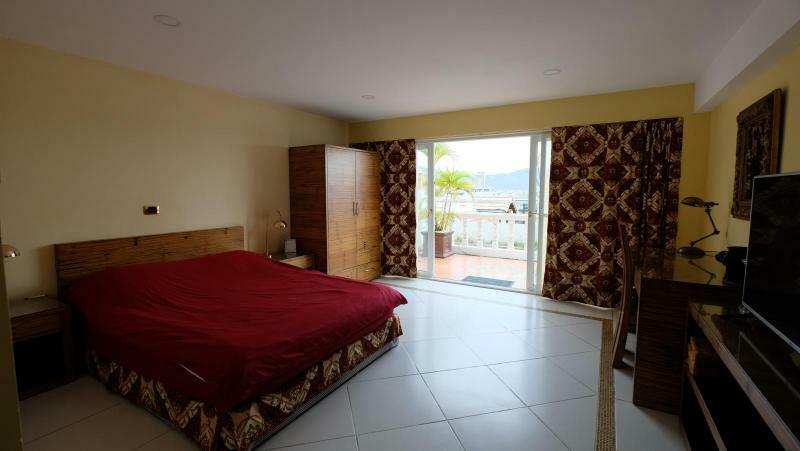 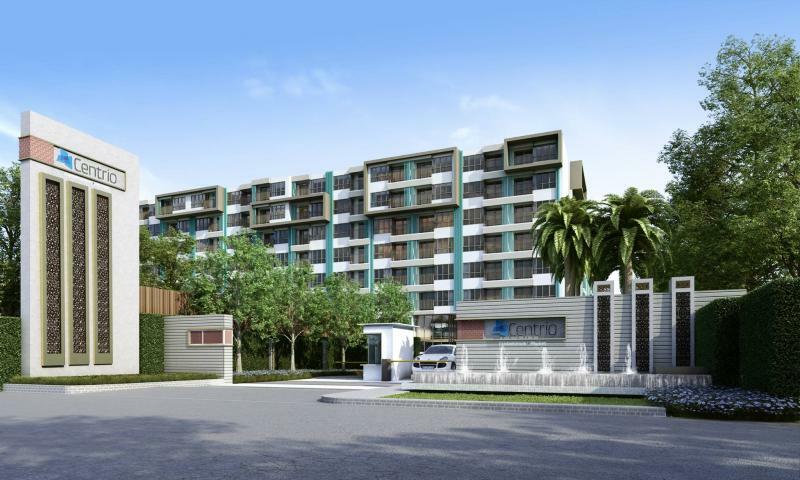 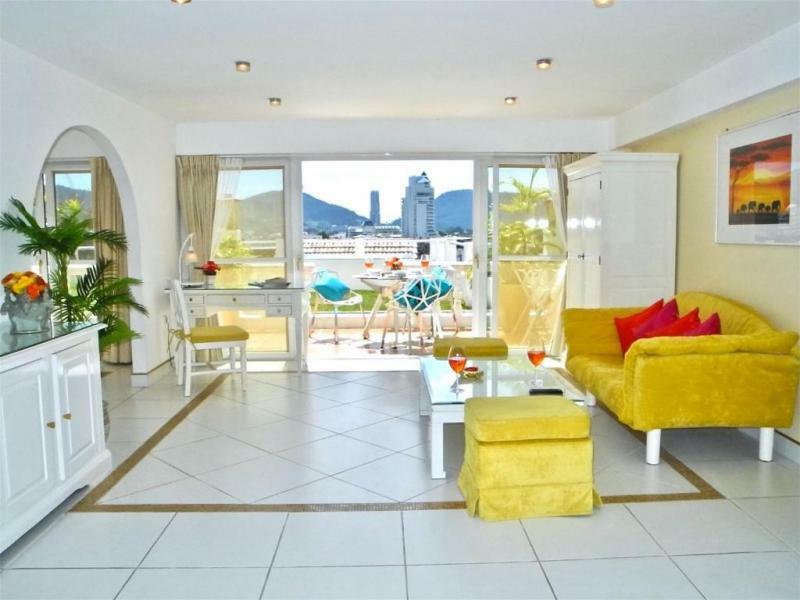 All bedrooms have hard-wood flooring, wood-framed double beds, en-suite bathrooms, built-in wardrobes and sliding glass doors opening directly to the large swimming pool. 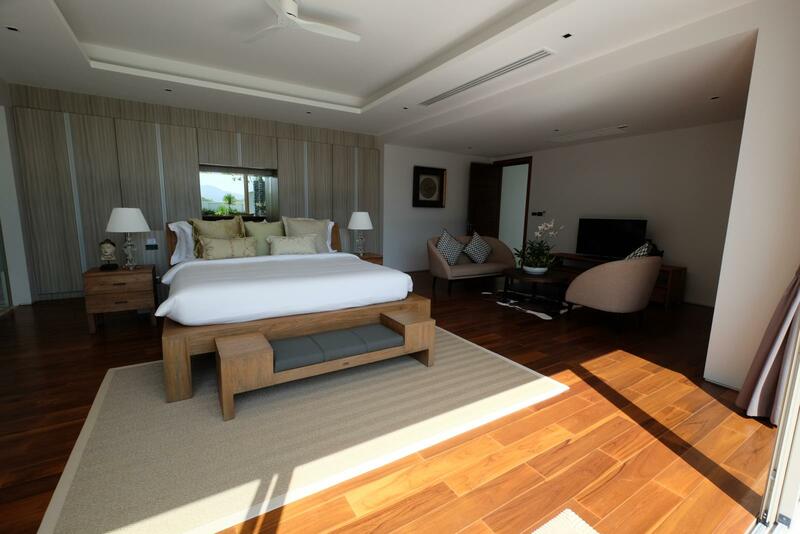 The master bedroom offers a vaulted gypsum ceiling. A stunning, over-sized salt water pool is complemented by its own beautiful garden, This house offers a very spacious outdoor living area. 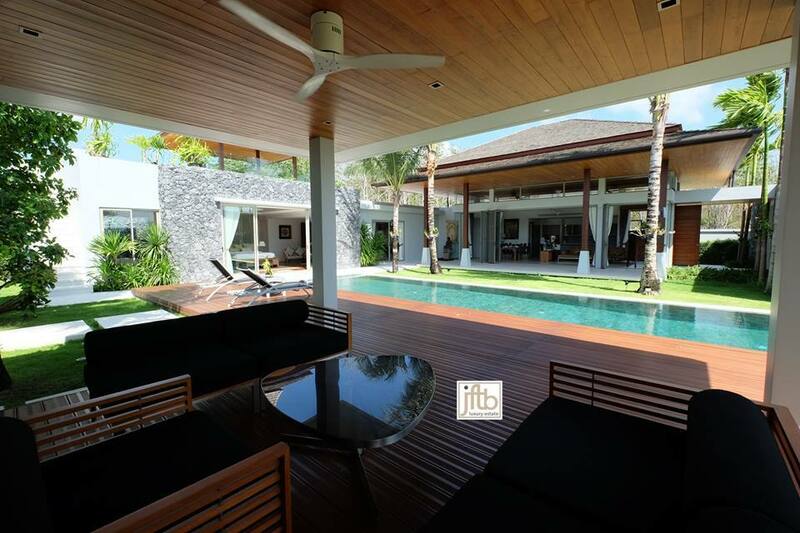 A BBQ area, with lounging furnitures transforms the pool area as a central spot. 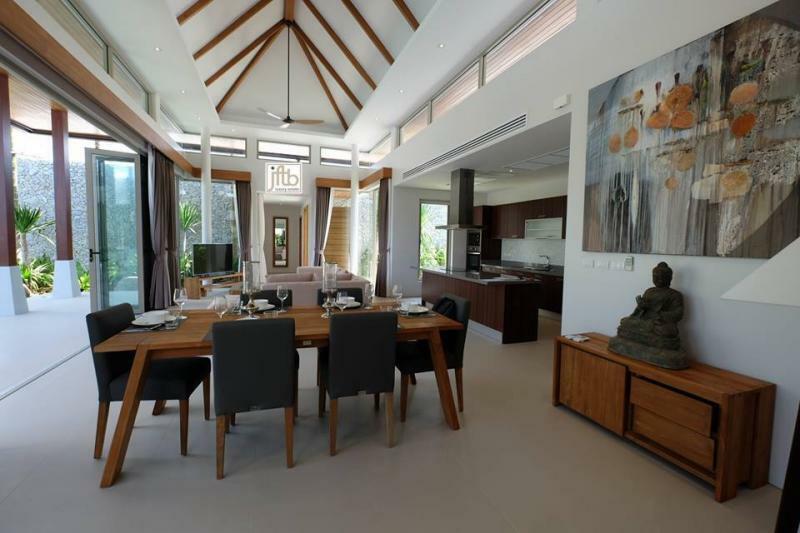 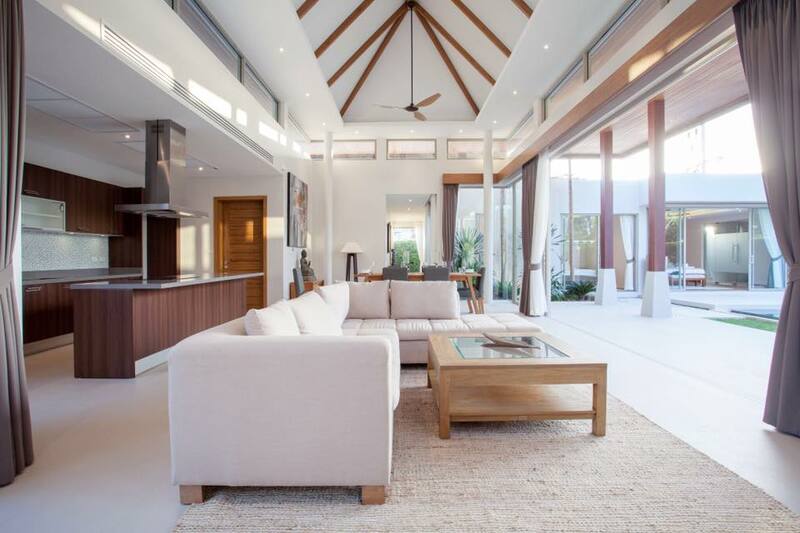 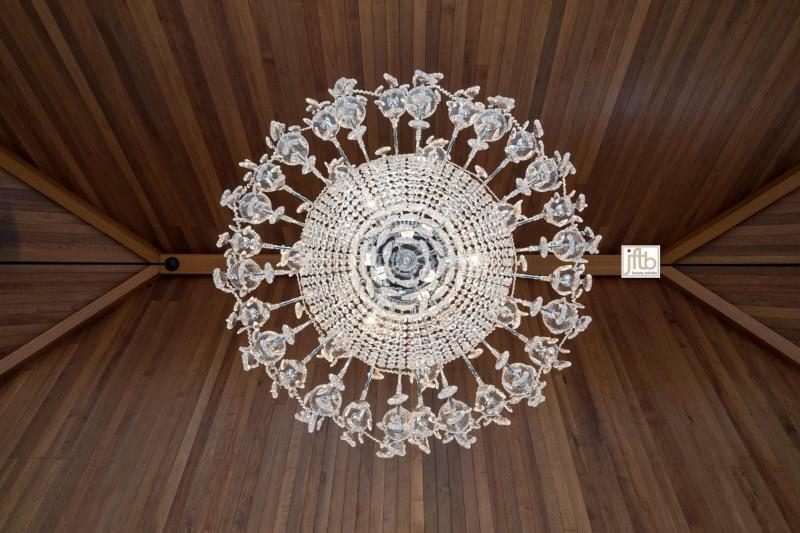 Inside the house, an open-plan living space is highlighted by magnificent decorations and furnitures. 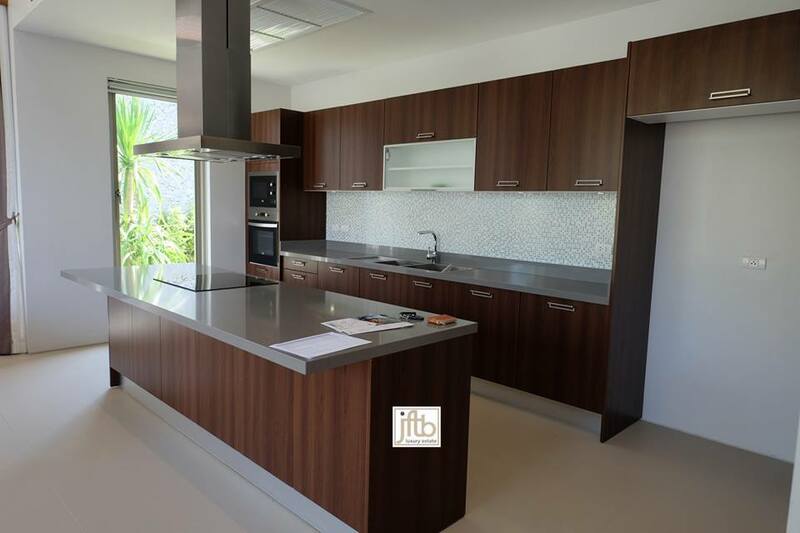 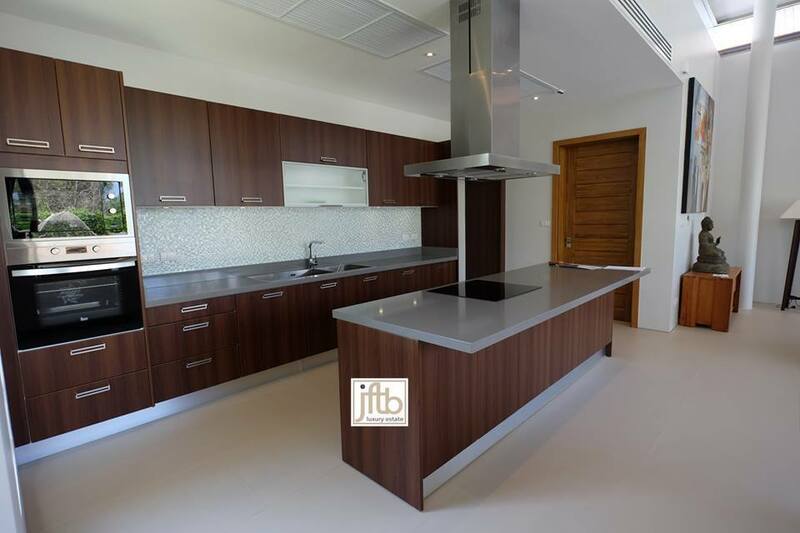 The modern kitchen is fully fitted and will enjoy even a "Chef".